There will only be one Council Tax bill per dwelling. To work out who will have to pay for your home (or "dwelling"), look down the list below. As soon as you reach a description that applies to someone in your home, they will be responsible for the bill (and will be the "liable person"). A resident is a person of 18 years or over who lives in the dwelling as their only or main home. Dwellings occupied by more than one household, where the residents pay rent separately for different parts of the dwelling and where the households perhaps share cooking or washing facilities. For example, some hostels, nurses' homes or groups of bed-sits. Residential care homes, nursing homes (such as hospices), mental care homes or certain types of hostels providing a high level of care. Dwellings which are not the owner's main home, but are the main home of someone whom the owner employs in domestic service. Accommodation provided for Asylum Seekers under 595 Immigration and Asylum Act 1999. 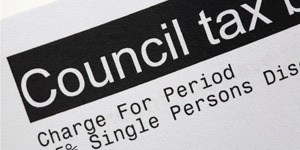 The Council Tax billing department and Recovery department will deal with face-to-face enquires by appointment only. If you require an appointment please contact 01827 709709 or request one with a Customer Service Officer in the Council Offices. All queries can be dealt with by phone.